Whenever I add the linked excel file, soldworks only displays a portion of it (9 x some height) even though I have text/data in cells outside this range. How do I go about selecting the range to display? 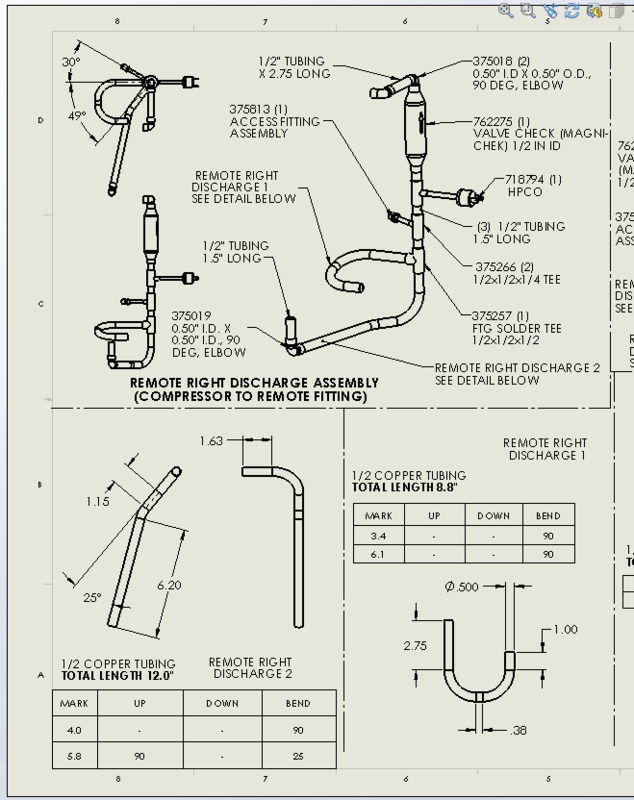 I realize I could use a non-linked file and select the range, but this excel sheet will be used on multiple drawings, and I'd even like to use each individual bend chart (small ranges on the excel sheet) on different sheets within the drawings to keep everything up to date with the cover sheet. Heres a portion of the drawing showing how the excel file is cut off. This is an example of a small range of that excel file being used on different sheets. Currently the tables on the second image are just general tables, but Id like to link them to the cover sheet... Is this possible or should I just cut my losses and use general tables/non-linked OLEs? EDIT: I was able to change the displated range of the file by changing the print area directly in Excel, but that only gets me the cover page. The second page portion is still a mystery to me and I doubt it will be able to be done.